11-30-2015 silverbow Box Text EVERY END, MUST FIRST BEGIN To be rid of the nightmares that haunt him, Kratos must embark on a journey that will reveal the origins of lost worlds, and finally answer long-awaited questions about his dark past. 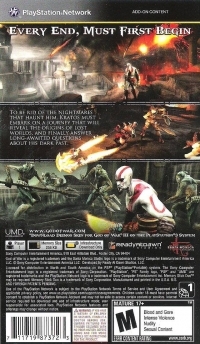 05-04-2013 st01c Box Text EVERY END, MUST FIRST BEGIN To be rid of the nightmares that haunt him, Kratos must embark on a journey that will reveal the origins of lost worlds, and finally answer long-awaited questions about his dark past. 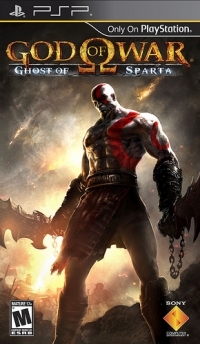 This is a list of VGCollect users who have God of War: Ghost of Sparta in their Collection. This is a list of VGCollect users who have God of War: Ghost of Sparta in their Sell List. This is a list of VGCollect users who have God of War: Ghost of Sparta in their Wish List.